Attendees listen to presentations at the 2018 Midwestern Pavement Preservation Partnership Annual Meeting. Photo courtesy of FP2. 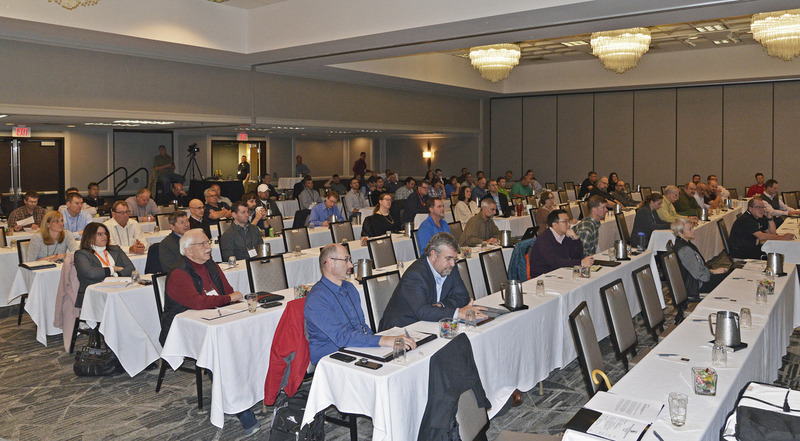 Earlier this month, nearly 140 attendees gathered at the Midwestern Pavement Preservation Partnership Annual Meeting in Madison, WI, November 6-8. This regional meeting allows agencies, contractors, suppliers, and academia to work together, sharing information and identifying common issues. Attendees reflected a good mix of government and industry, with about 40 percent representing 13 states or provinces including Department of Transportation (DOT) staff from Wisconsin, Michigan, Arkansas, Missouri, Indiana, Kansas, South Dakota, North Dakota, Illinois, Minnesota, Iowa and from Saskatchewan, and Manitoba. After a welcome by Wisconsin Department of Transportation Administrator Joe Nestler, the meeting began on Tuesday afternoon with introductions and updates from each state, province and local agency represented with prompts related to the status of their Transportation Asset Management Plans (TAMP). Representatives from each agency described the tools used to manage their pavement system. Increases in pavement preservation treatments were described throughout the Midwest region including the use of a number of tools represented by the International Slurry Surfacing Association (ISSA) such as chip seal, micro surfacing, crack seal, and scrub seal; and by the Asphalt Recycling & Reclaiming Association (ARRA) including hot in-place recycling and cold in-place recycling. Wednesday’s presentations included a legislative update from FP2 Executive Director Jim Moulthrop and a panel discussing industry and agency roadblocks including panelists Jerry Geib, Minnesota DOT; Nichole Andre, Saskatchewan Highways and Infrastructure; John Senger, Illinois DOT; and Todd Shields, Indiana DOT. Development of an Asset Management Plan was described by Katie Zimmerman of Applied Pavement Technology, followed by information on Asset Management Implementation shared by Missouri DOT’s Phil Ruffus and Mike Shea. NCPP’s Executive Director Judith Corley-Lay shared an update on the Pavement Preservation Expert Task Group and followed up with a presentation on communicating to the public based on a case study of the Michigan DOT. The day ended with presentations on the Cost of Poor Specifications, the Consequences of Delayed Maintenance (NCHRP 859), and Quantifying the Effects of Pavement Preservation (NCHRP 858). ARRA Technical Director Steve Cross educates attendees on CIR and CCPR. Photo courtesy of FP2. 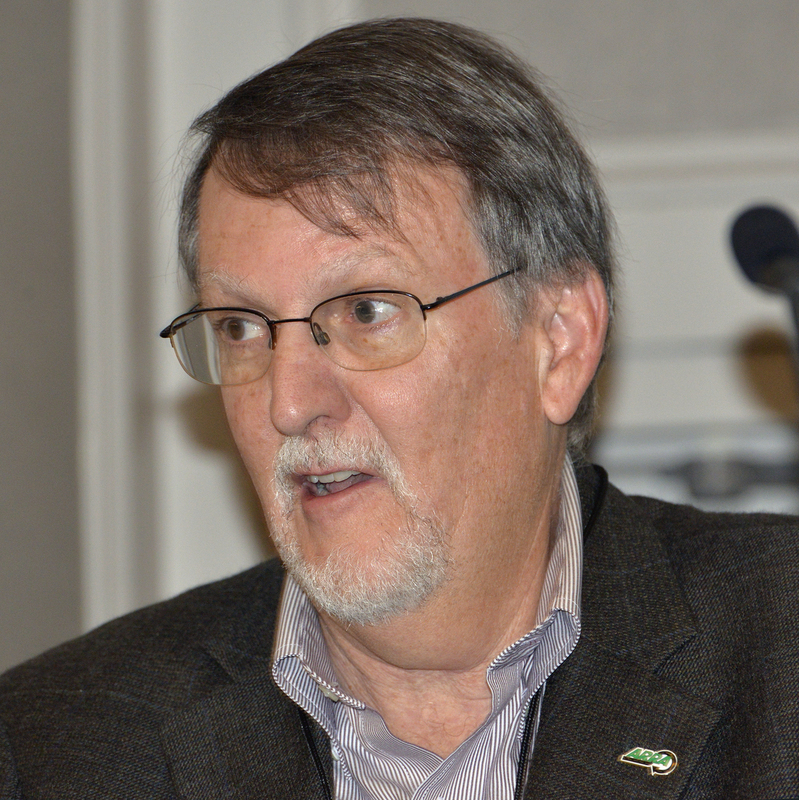 The final day of programming began with a presentation by ARRA Technical Director Steve Cross educating attendees on Cold in-Place (CIR) and Cold Central Plant Recycling (CCPR). UC Davis’ David Jones followed with a presentation of Performance Testing for CIR. Angela Pakes, Recycled Materials Resource Center, also shared information with the attendees on the center’s program. Presentations from the conference are now available for review at: http://pavementvideo.s3.amazonaws.com/2018MWPPP-Madison-WI/2018-MWPPP-PowerPointINDEX.pdf.